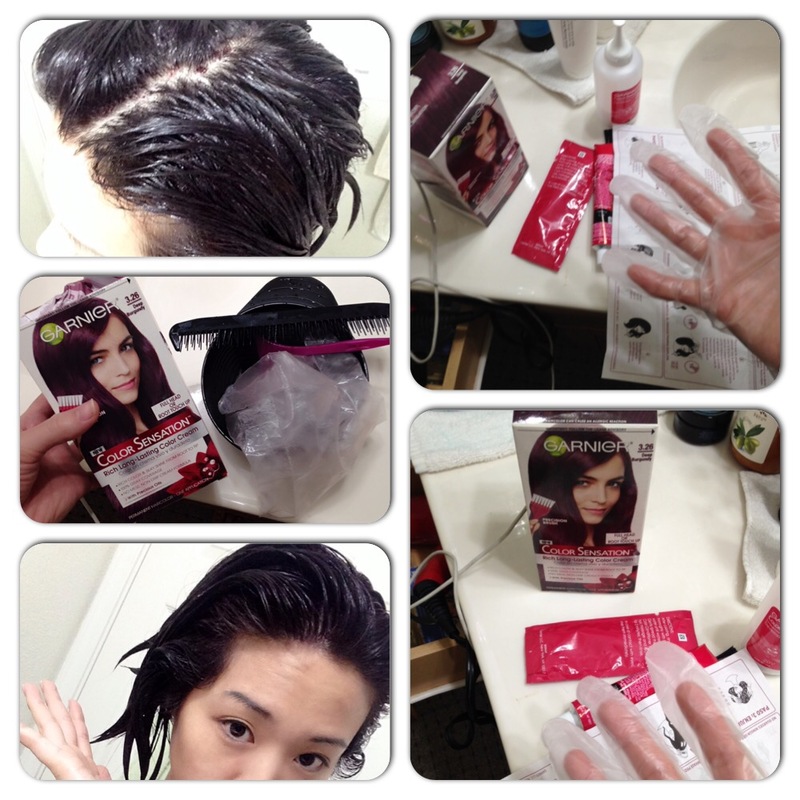 In the past month Ive been using St. Ives new products thanks to Influenster’s newest VoxBox. I was auto qualified by being an active member on Influenster and earning my St. Ives Beauty Badge! Thats right all I did was become a member and my beauty voxbox came through Influenster for free! You can receive a free trial from your doctor through this link below. 1 box costs 40.00 bucks. They contains 30 lenses. Hmm~ I wonder what happens on the months that have 31 days. Kidding!! I ordered mine through 1-800-contacts! Their customer satisfaction is incredible. You can chat with a representative at any time through their new mobile app! I was definitely amazed with how communicative they are. I had some issues with getting my Rx prescription confirmed, as it turns out, the law in California is that if your eye doctor doesn’t respond (which they are required to within a day so its actually a bit funny they didn’t) to the fax order or call… These eye care establishments are given the okay to move forward with the order. My guess is it’s to ensure that people like myself are able to see 🙂 The orders were expedited (first order when you download the app) and arrived in 3 business working days. 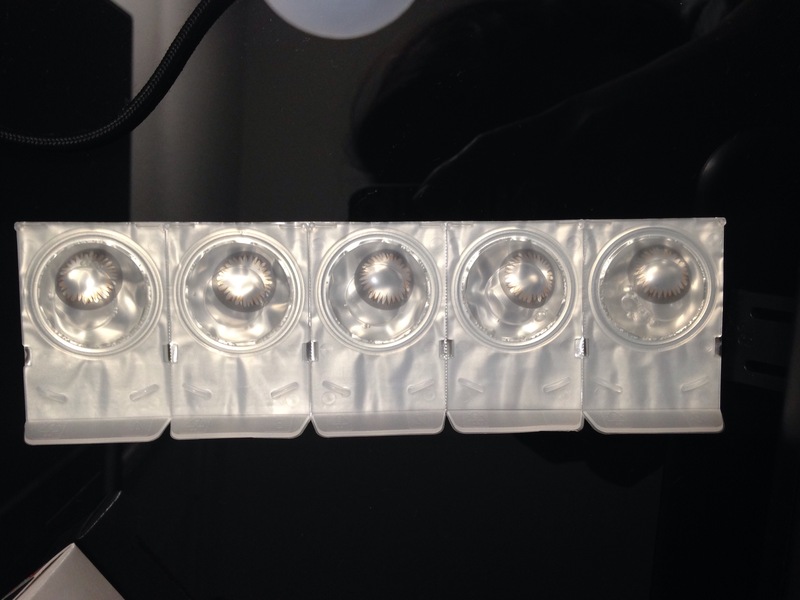 Out of all the eye care businesses I have ordered from, I was most satisfied and impressed with 1-800-contacts. I will definitely be purchasing through their warehouse again. So back to Acuvue new line of contact lenses. 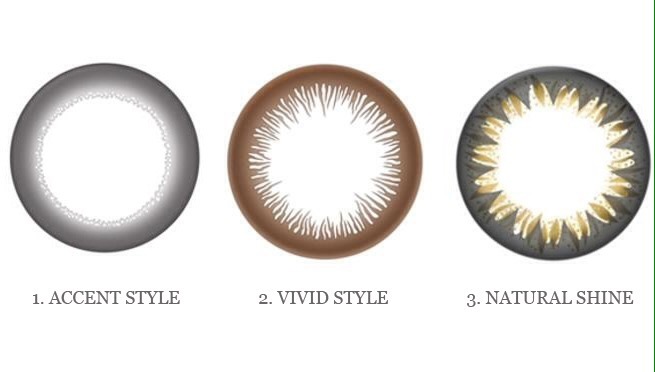 These lenses are not damaging to your eyes like those circle lenses that arent FDA approved. 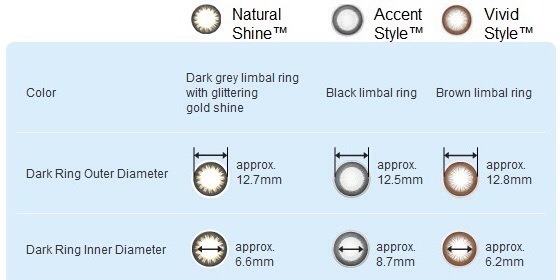 These lenses, Define Natural Shine are coated with Lacreon which has special UV blocking. So if you plan to go on Vacation in the tropics, these are a great choice. 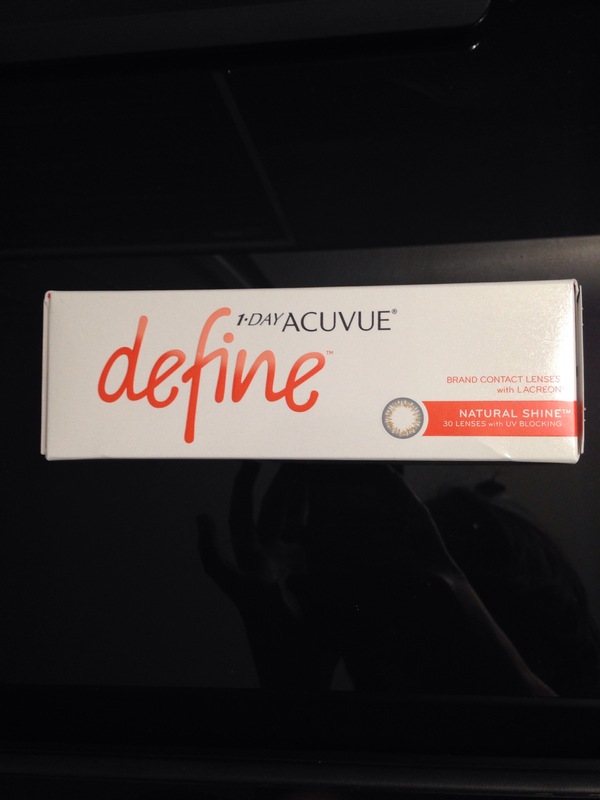 Acuvue makes the Vivid, Accent, and the Natural. 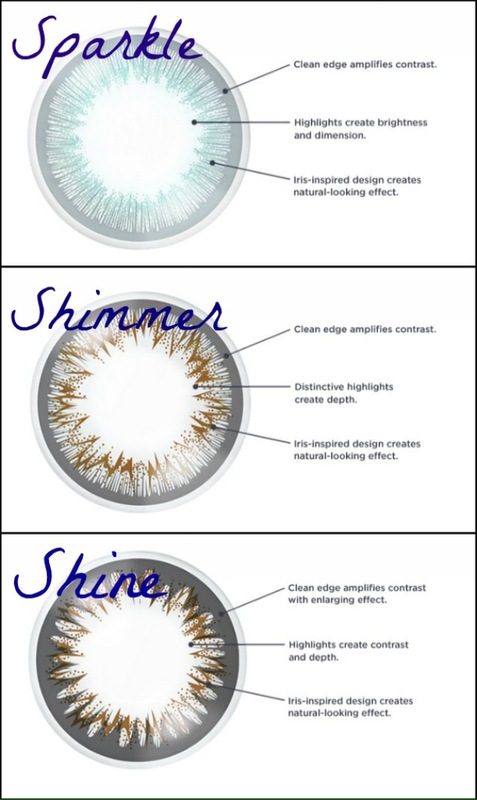 From there the Natural line has three styles; Shine, Shimmer, and Sparkle. Hope these comparison charts help in making your decision. If not try them all! I plan to~! I will update this post with me wearing these so you can see firsthand what they look like 🙂 I am very happy to be a buyer of Acuvue Lenses! I am not sponsored to promote their company in any way. These are my actual opinions!! I love my eyes so why not decorate them as long as it doesnt bring them harm. Dont forget to follow my blog. I am the proud parent of Sophie and member of the Parent Tested Parent Approved widely known as PTPA. This is a growing community that allows you chance to grow and learn with other parents that concern your childs health, development, and even with a sense of style. From time to time they host these fabulous twitter parties that provides a wealth of information. The best part is PTPA rewards your efforts and participation by handing out giftcards and prizes!!! Exclusively for members of this loving community. It is completely FREE to join! These prizes start from raffles to giveways to Amazon gift cards. The price ranges from 20.00 to 100.00 and even more. Think of all the amazing things you can buy for you child!!! Or maybe splurge for yourself~! I myself won today by joining in on the fun. Join PTPA for your chance to win! Through today’s twitter party I learned about a new and innovative procedure called MIIP, Minimally invasive image-guided procedure, which is the use of thread like tube that is inserted into a pinhole sized incision to detect major life threatening and yet even some simpler conditions. By using this technique it can also treat a patients condition without any pain. It prevents patients from undergoing a life threatning and invasive procedure and the greatest benefit of this is that your healing process has been reduced to almost nothing. They cover up your minimal procedure with a bandaid. You can follow them for important updates that can and will help save your life or of your loved ones. The following is their facebook link. Check it out and let me know what you think. There is a wealth of information out there and it is waiting for you! Dont be shy and explore all the possibilities and options healthcare has to offer you! The upcoming documentary that will change your view on modern medicine and how it can help you! It describes in detail how this new innovative procdure works and how harmless it is. It will talk in depth about the many uses of MIIP aka minimally invasive image-guided procedure. I was skeptical at first, but just think of all the time you will save. It will be provided at low cost too! Save the time needed to save your life! I’m so excited as this is my very first post as a blogger. I’m fairly new to this so bear with me as I take the first blogging stepping stones. Back in August 2015 I gave birth to my beautiful baby girl, Sophie who is the inspiration for creating and starting this blog. It is my first and utmost priority to figure out what I’m supposed to be doing as a single mom and fast. So, for all fellow mothers and bloggers out there; here goes the launching of SOPHIEbyJinee. I will be posting baby tips plus some fashion goodies I learn along the way and how they panned out for me. I will be incorporating a portion of my blog to posting reviews of the top must have baby products, the latest beauty trends, and trying out recipes for the everyday mom. I’ve been contacting all the best brand name and family based companies to work with me to provide some products for review. So far they have been willing to work with me. This will be ready by January 2016. Seems about right as a new mother, new blog, new year, looking ahead towards new beginnings. As a mother it’s hard to find and trust someone who can give honest advice which I hope my blog will be able to offer all you gals out there. My blog will be based on the lifestyles of the fashionista single mom, but not limited to. Be sure to follow my blog which will be up and running starting January 2016.